Allow customers to login with either Email Address or Username. 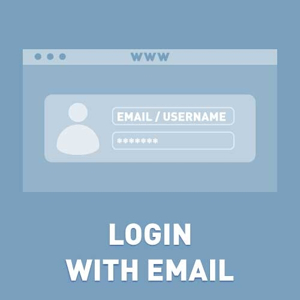 Your customers can use their username or email for login. Not registered version is fully operational. This version has only one limitation. It will work 15 days. - fixed bug (didn't change route "LoginCheckoutAsGuest") (link). - fixed bug with multistore (link). - fixed bug (customer uses wrong username and e-mail address at once).